NAIROBI (HAN) November 8.2016.Public Diplomacy & Regional Security News. Kenya on Sunday dismissed a United Nations report linking its troops to illicit charcoal trade from a port under their control in Somalia. The Kenyan troops are part of the African Union Mission in Somalia (AMISOM), which is helping the Somali government battle terror group Al-Shabaab. “We are focused on the job that took us to Somalia in the first place, and will not be distracted by the latest hogwash masquerading as research,” Esipisu told journalists in Nairobi. 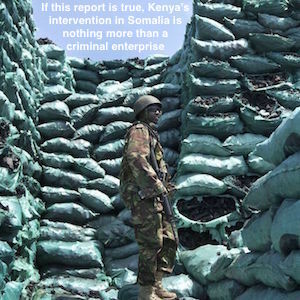 A UN Monitoring Group report, published by a Kenyan daily on Sunday, said Kenyan troops in Somalia received fees for allowing illicit exports of charcoal from the port of Kismayu. The report said the Kenyan troops received 2 U.S. dollars per bag of charcoal at Kismayu, citing charcoal industry and non-governmental organizations sources. The report estimated that up to 6 million bags of charcoal had been exported annually from Kismayu and Buur Gaabo, another port adjacent to a Kenyan army base in Somalia. 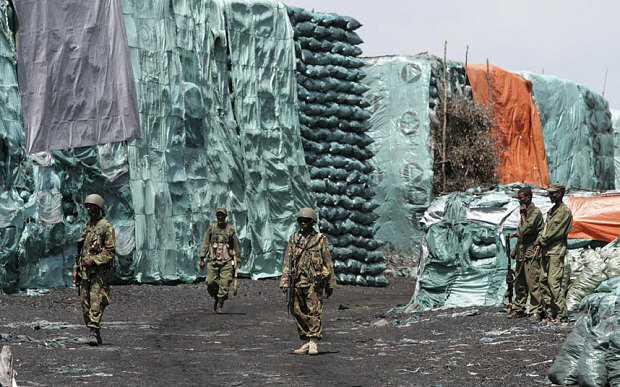 Charcoal exports are banned by the UN Security Council in 2012 in an effort to cut off funding for Al-Shabaab. Esipisu said the UN report appeared as a regurgitation of reports NGOs have issued over time, with the sole agenda of “demoralizing” Kenyan troops. Days ago, Kenya was angered by the UN chief’s dismissal of Kenyan Lt. General Johnson Kimani Ondieki as the commander of the UN peacekeeping force in South Sudan.